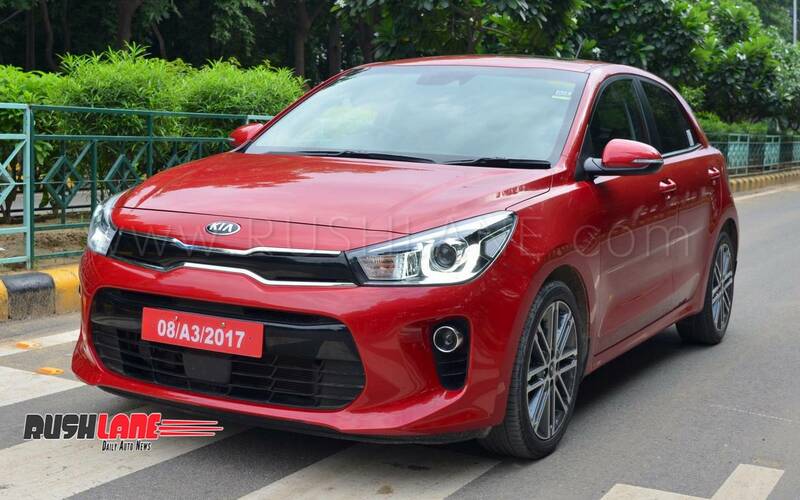 Kia Motors, the South Korean auto manufacturer which is all set to commence its sales operations in India from next year had made its Indian debut earlier at the 2018 Auto Expo in Delhi. 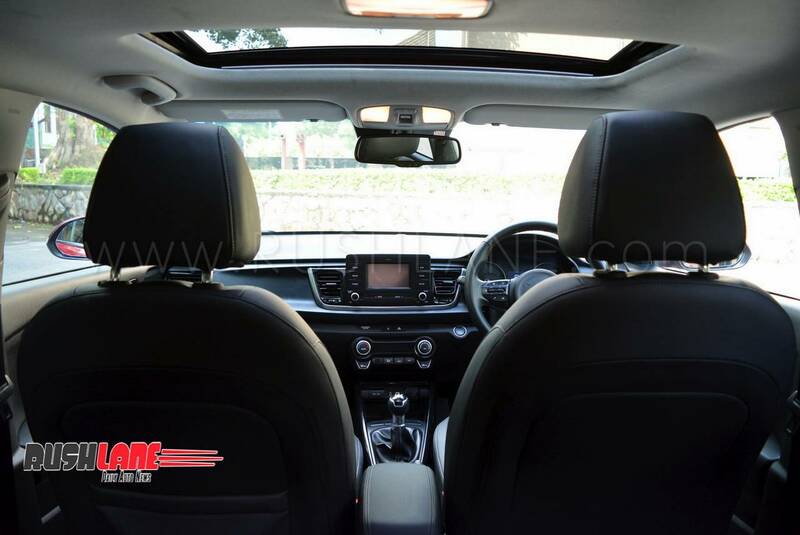 The car brand will be starting its operations with a launch of a mid-size SUV and is planning to introduce more products from its line-up. 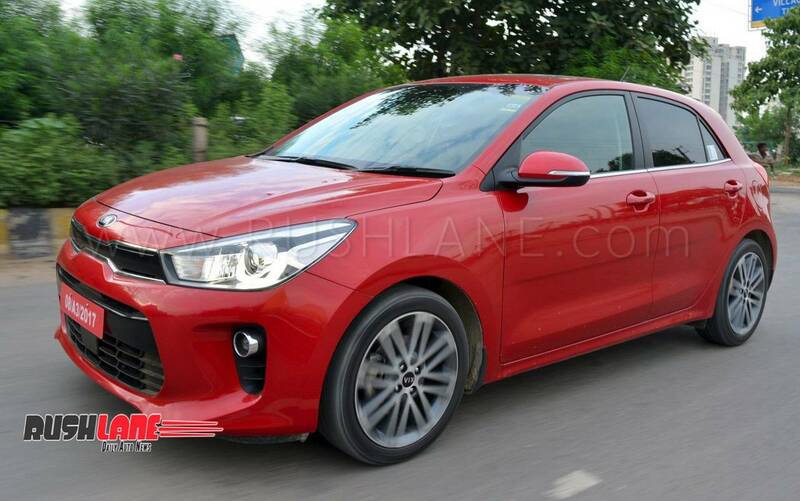 Models which can potentially make their way to India include the Rio, Carnival MPV, Optima sedan and Sportage SUV. Before we step into the review, there are couple of facts we would like to share. 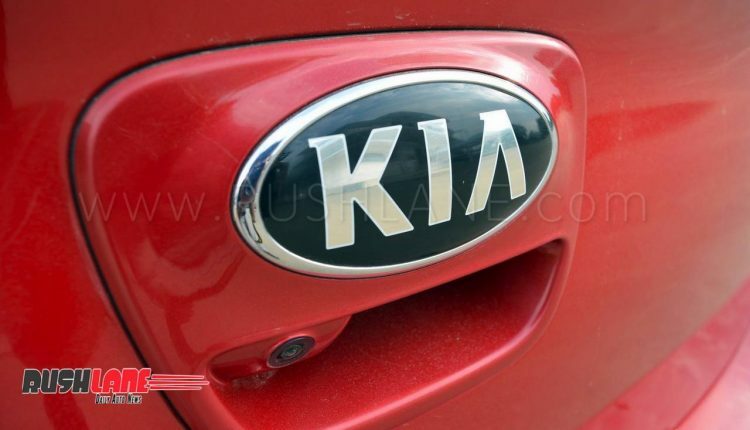 Unlike the popular belief that Kia is a sub-brand of Hyundai, it isn’t. 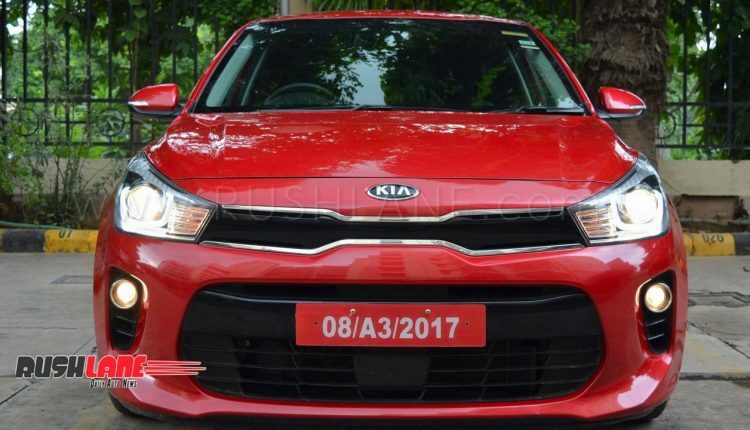 Hyundai owns around 33% stake in Kia Motors but the two are separate entities and even have their stocks listed under separate marquees. 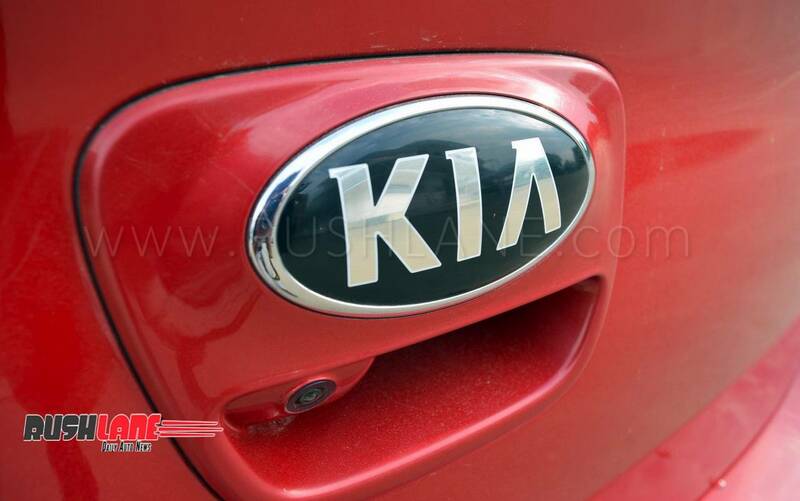 Kia has a strong presence in South Korea (it is the country’s second largest automaker, after Hyundai), US and European markets. 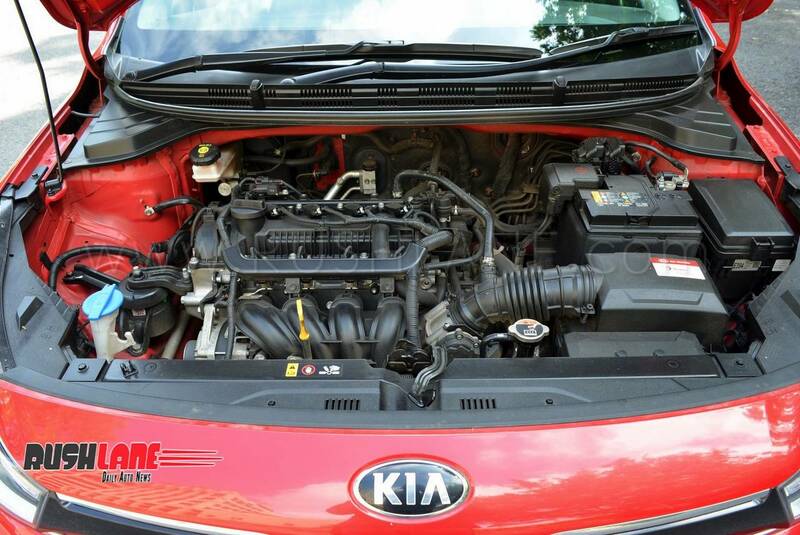 Even though Hyundai and Kia are competitors in many markets, they do share technologies and platforms with each other. 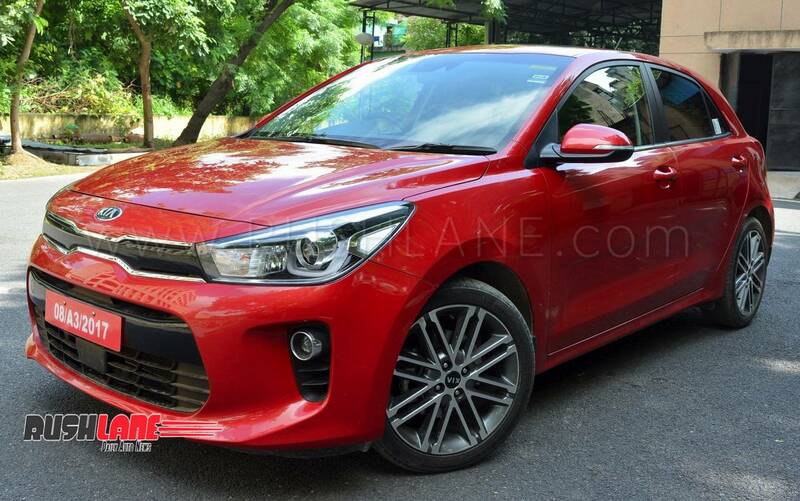 The Rio in-fact does share components with its sibling, the Elite i20. 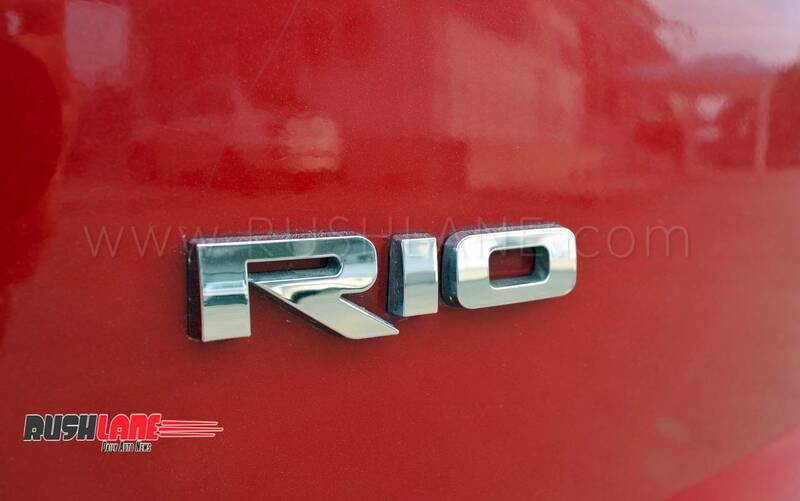 Talking about the Rio, it is presently in its 4th iteration and the current model had made its global debut last year. 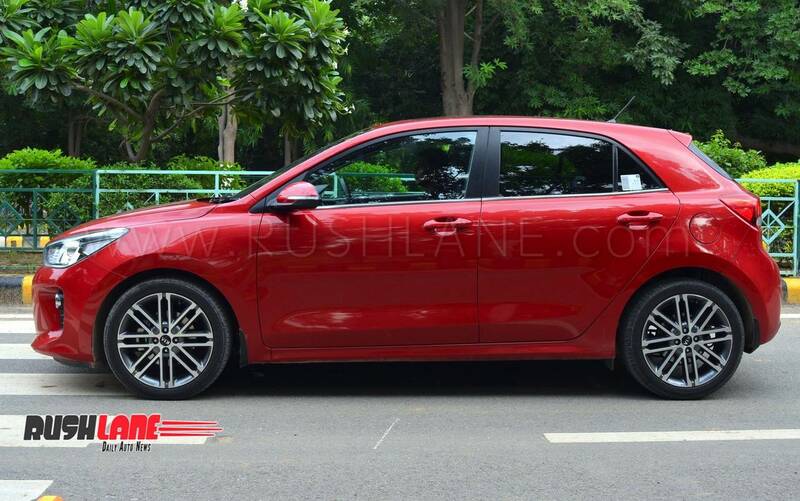 It is sold as a hatch, a sedan and with some modifications in a form of a pseudo-crossover as well in select markets. 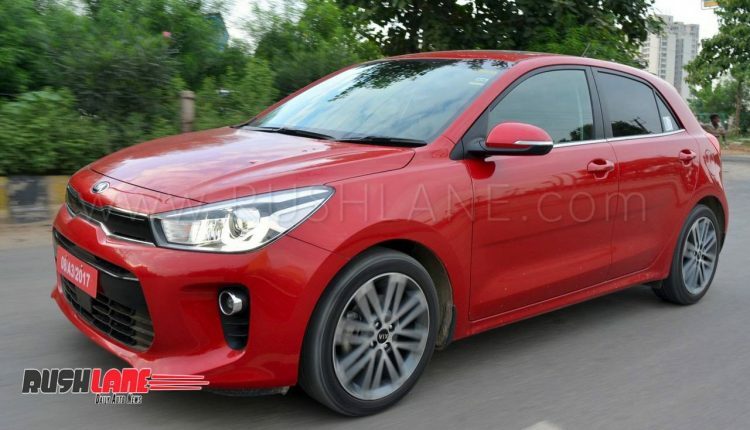 The car we are currently reviewing has been made as per international specifications and we are sure that there will be changes to the car as and when Kia plans to launch it in India. With no further adieu, lets jump to the review. 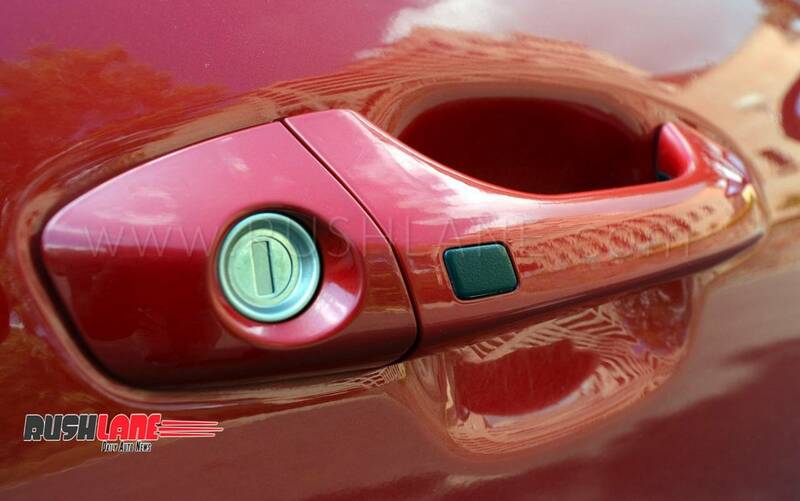 A first look at the car and you know this is something which the Indian market hasn’t seen in the past. 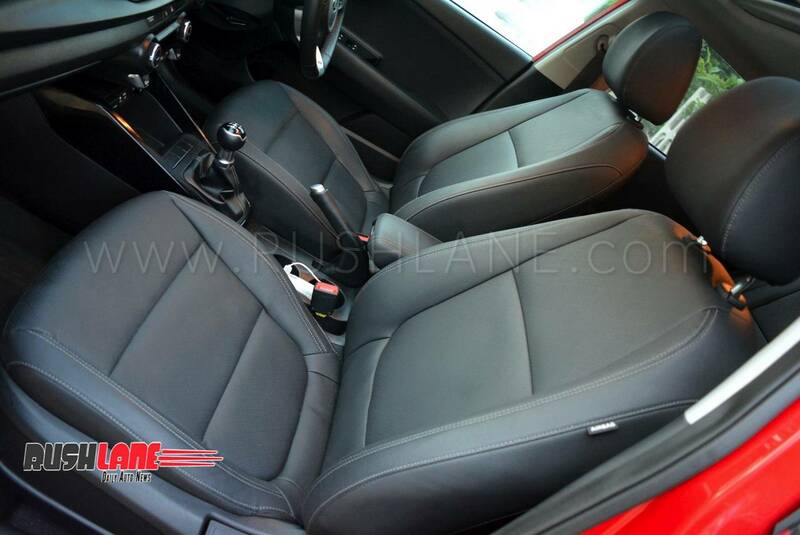 The design is aggressive, sporty yet mature. 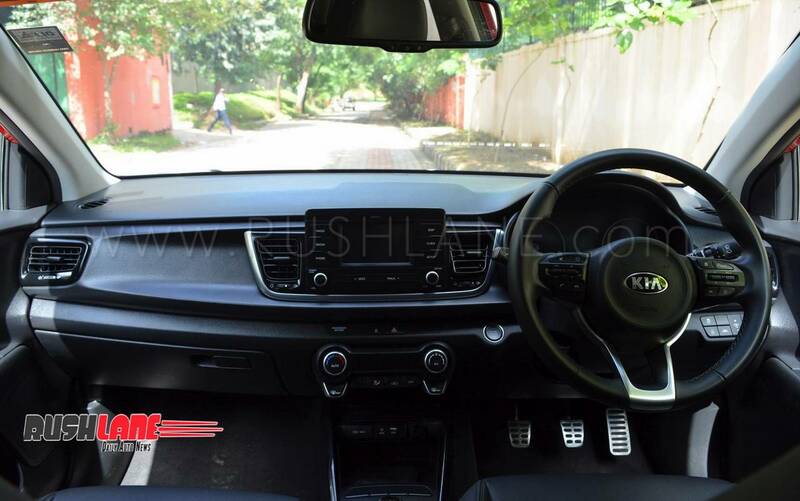 At the front, sits the Kia logo in the centre, just above the typical ‘Tiger nose’ grille which has become a family design for all Kia vehicles. 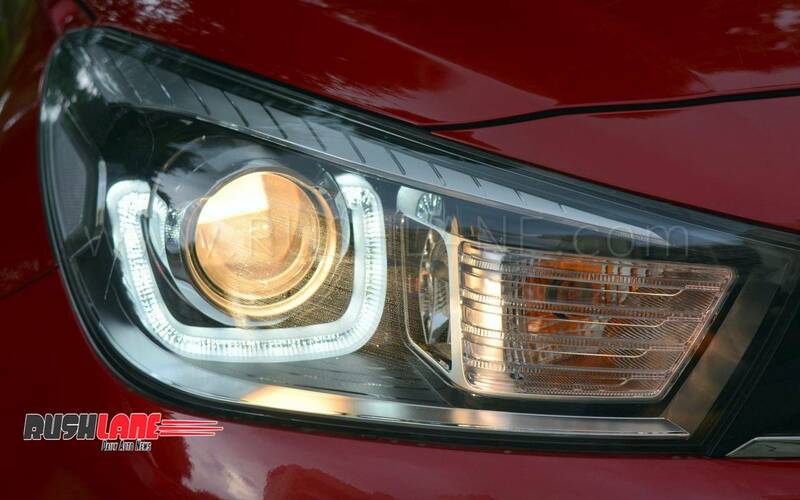 The unique DRLs in the headlight cluster add a charisma to the car which none of its Indian counterparts have. 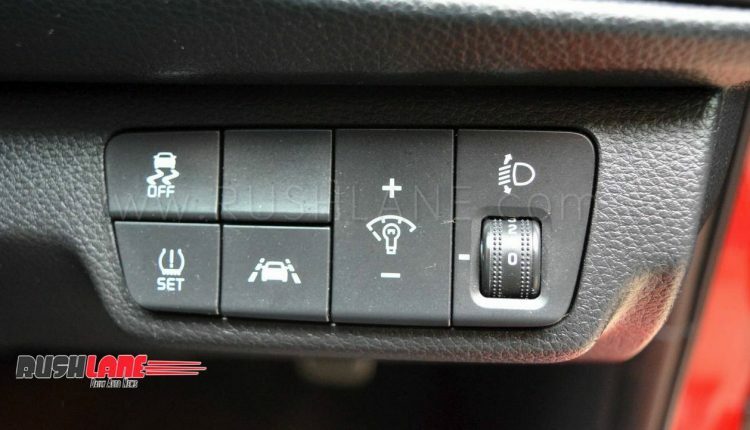 The lighting cluster also houses cornering lamps which aid in lighting up the road while one takes a turn. 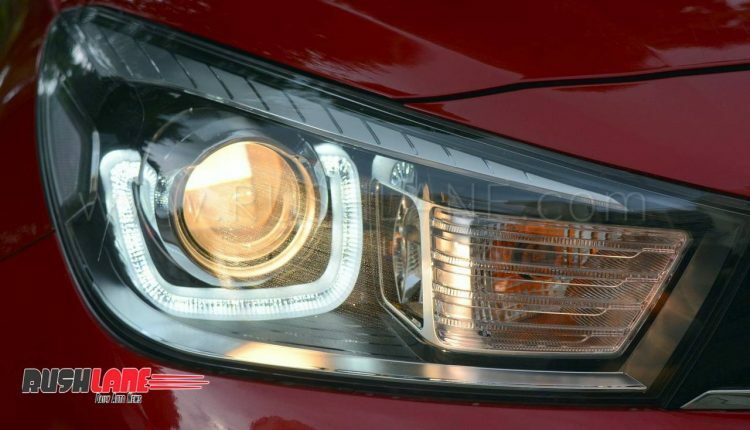 Kia has placed smart looking round fog lamps towards the bottom. Overall, the front look of the car is impressive, and a European design character comes out loud and clear, making the car look more premium than it actually is. Take a step towards the side and you meet a nice looking sloping roofline. 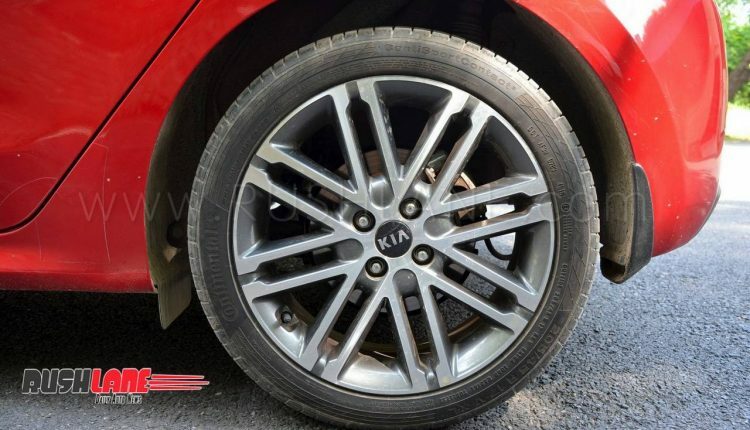 Other elements which shine through (pun intended) are the 17-Inch alloy wheels. 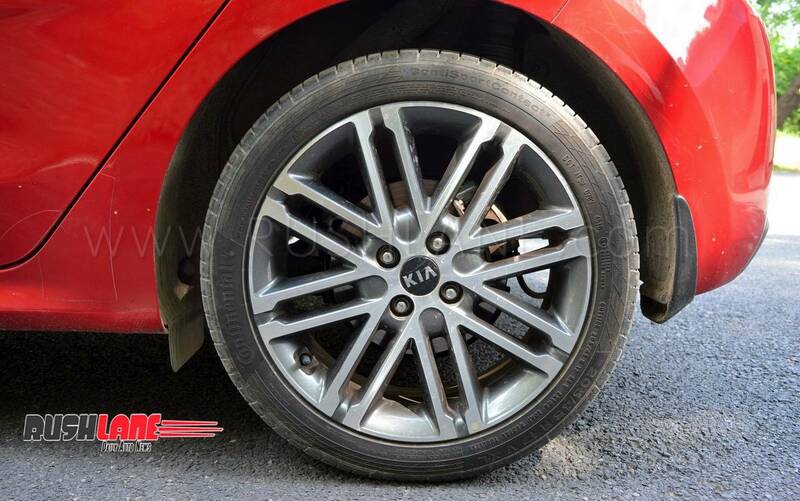 The 8-spoke alloy wheels look beautiful and add to the overall aggressive stance of the design. 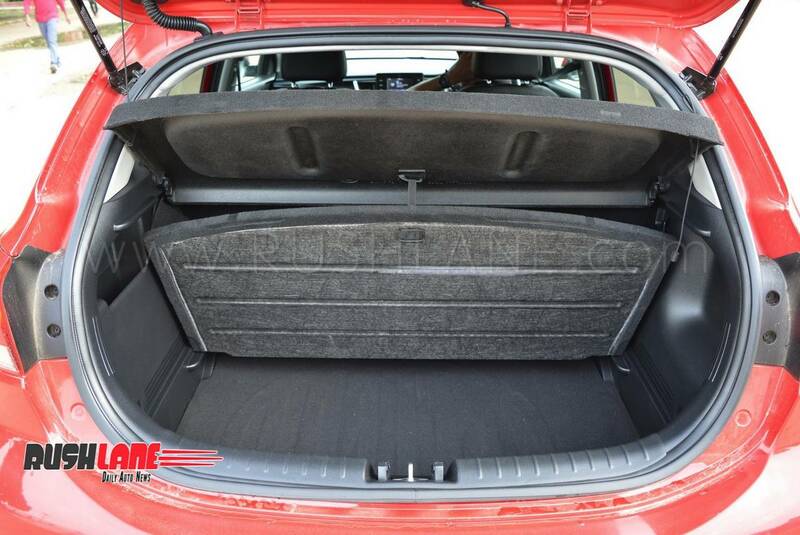 The fun continues at the rear as well; however, it is relatively subdued compared to the front. 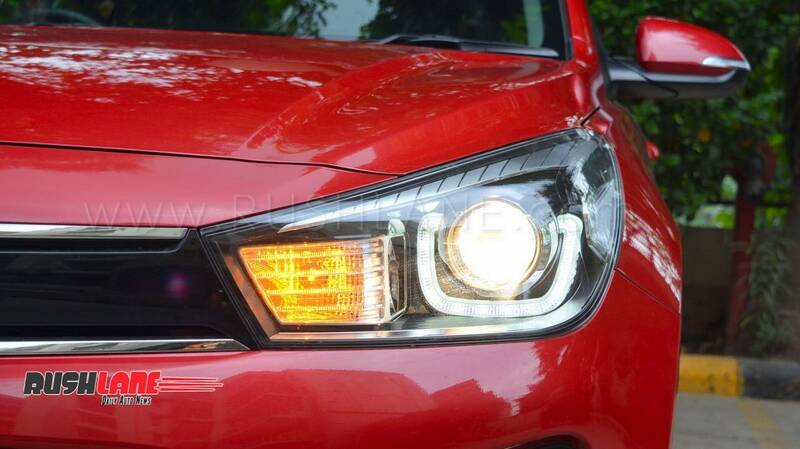 The tail-lamps look like a distant cousin of Elite i20’s tail-lamps and get an LED treatment and manage to look slick. 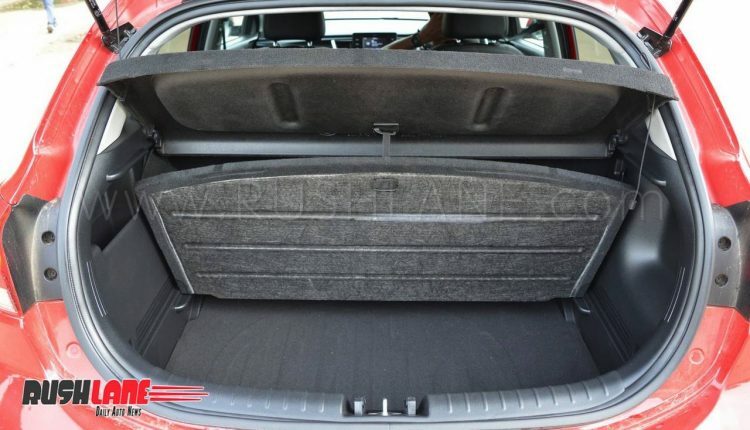 There are rear-parking sensors and a camera as well to help the driver with parking. 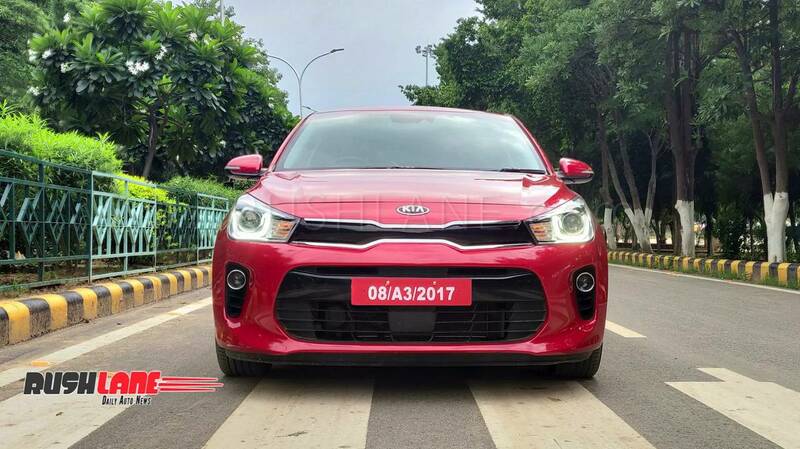 To sum it up, the Rio is certainly a head-turner and if launched in India, it will be the best looking hot hatch in the category. 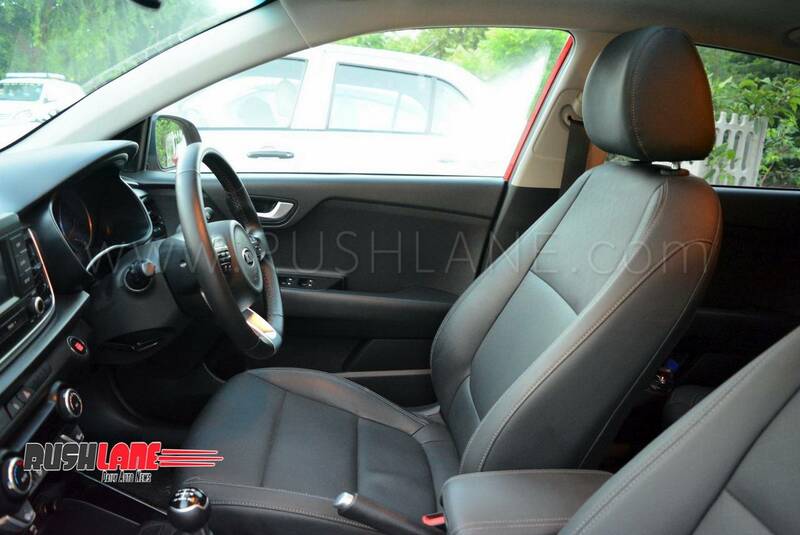 Step in and you are greeted by an all-black sporty looking cabin. Ingress is convenient and so it the egress. 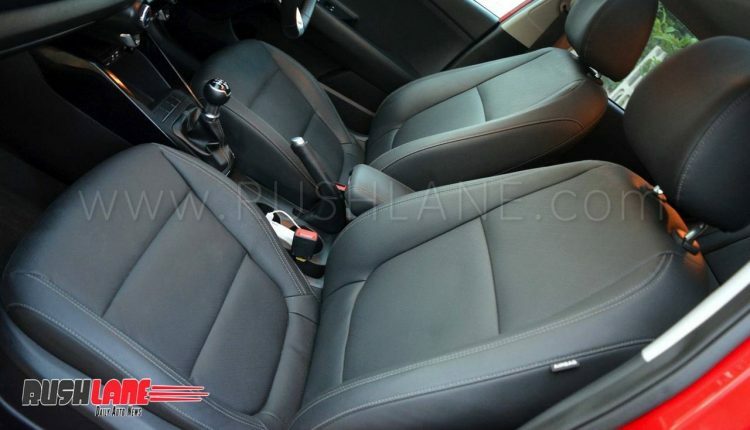 The faux-leather seats provide you good support and comfort. The leather-wrapped steering is lovely to hold and houses controls for audio, call, cruise control and some MID functions. 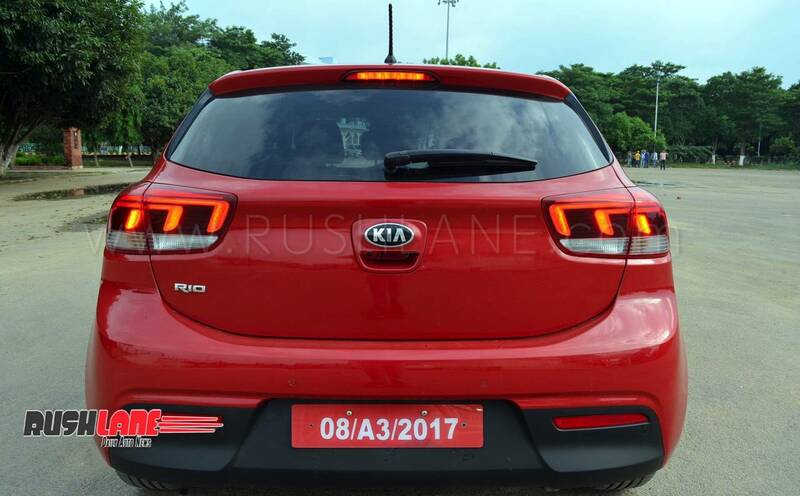 Horn is something which we aren’t a fan of, probably Kia will have to bring in a louder horn especially considering the Indian road conditions and the cacophony which they are known for. The feature list on the car is very long. 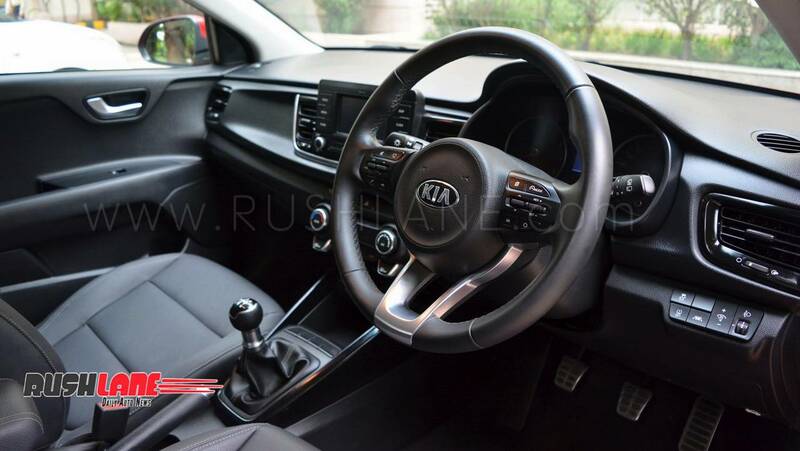 It has tire-pressure monitoring sensors, lane departure warning system, automatic wipers, start-stop ignition, auto-dimming inside rear-view mirror, keyless entry, a touch-screen infotainment unit, traction control, a sun-roof and the list goes on. We aren’t sure if all of these will be brought to the Indian-spec variant however considering that Kia is known for providing feature rich products, having a hot-hatch with sun-roof in India seems highly plausible in the future. 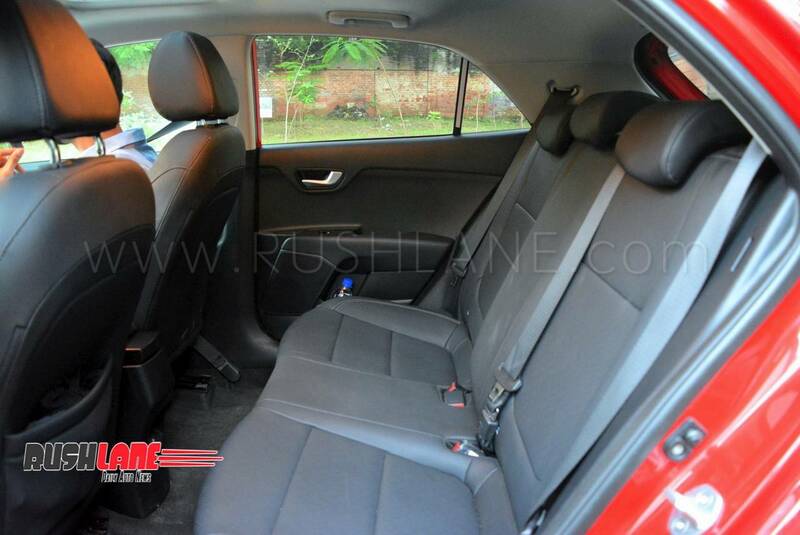 Though the Rio houses an infotainment unit, it seems like one from 2015 as it is pretty small considering the current industry trends. Kia will certainly have to replace this one when they plan to bring in the Rio, as a 7-inch touchscreen with Android Auto & Apple CarPlay has almost become an industry norm and customers expect the same in a car of this segment. 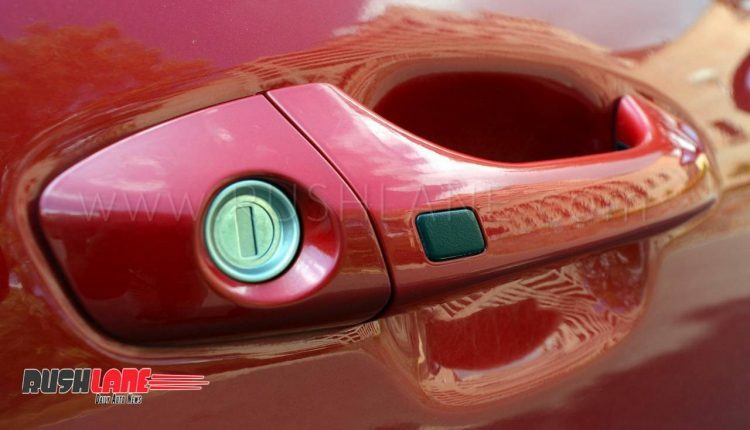 The instrument cluster looks similar to the one on Hyundai cars however the red theme helps to build upon the overall sporty feel of the cabin. There are 2 dials, one for the RPM and other for the speed. 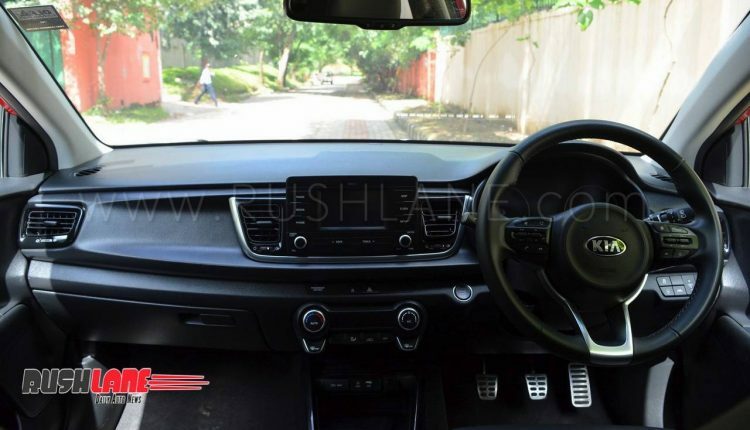 A MID unit sits between the two which provides a host of information and can be configured as per driver’s preference. 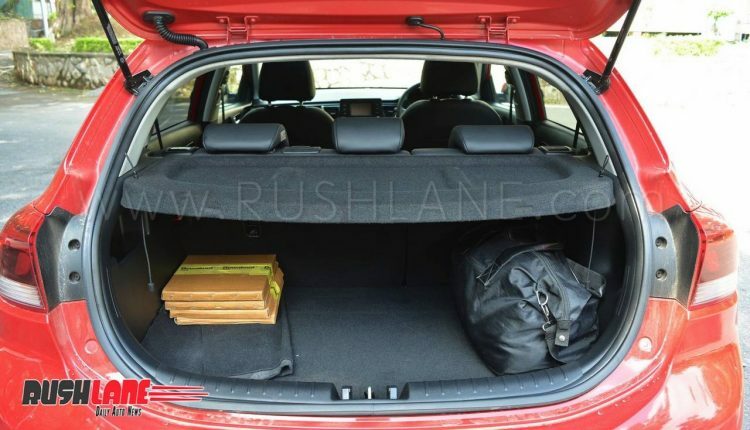 Shifting back to the rear seats you realize that it isn’t a very roomy cabin at the rear. 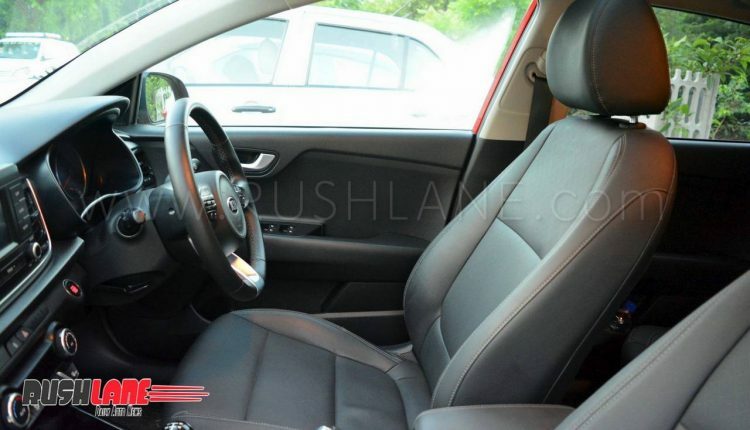 The all black interiors look sporty but at the same time they make the cabin feel smaller than it actually is. 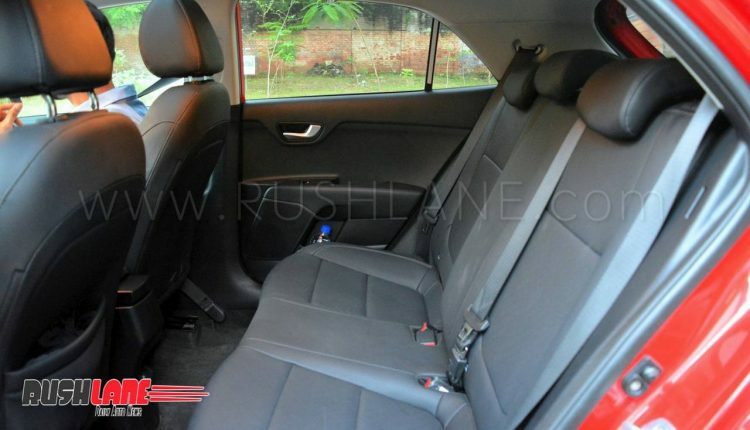 Knee-room and shoulder-room aren’t class leading though the car can sit 3 adults comfortably. 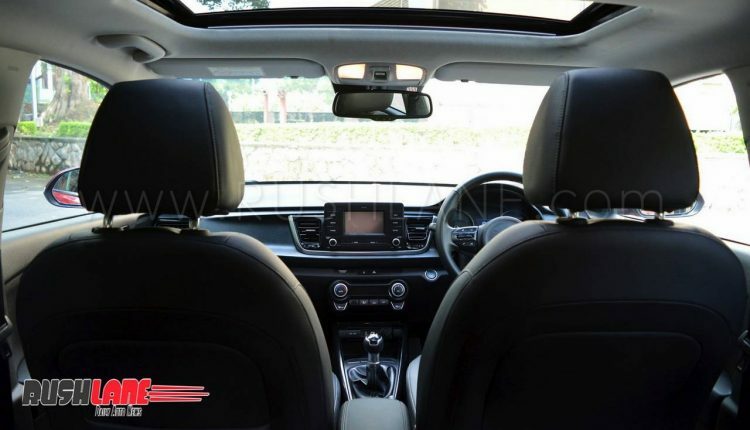 To provide comfort at the rear, Kia has provided head rests for all the three occupants along with one USB charging slot. However, it does miss out on rear AC vents, which are slowly becoming a standard feature, especially considering the Indian seasons. 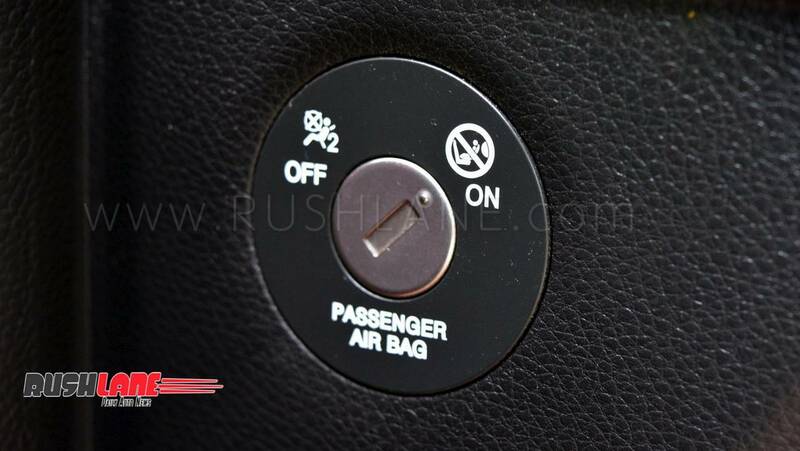 Thankfully the cooling from the AC is strong and the rear passengers don’t feel uncomfortable. 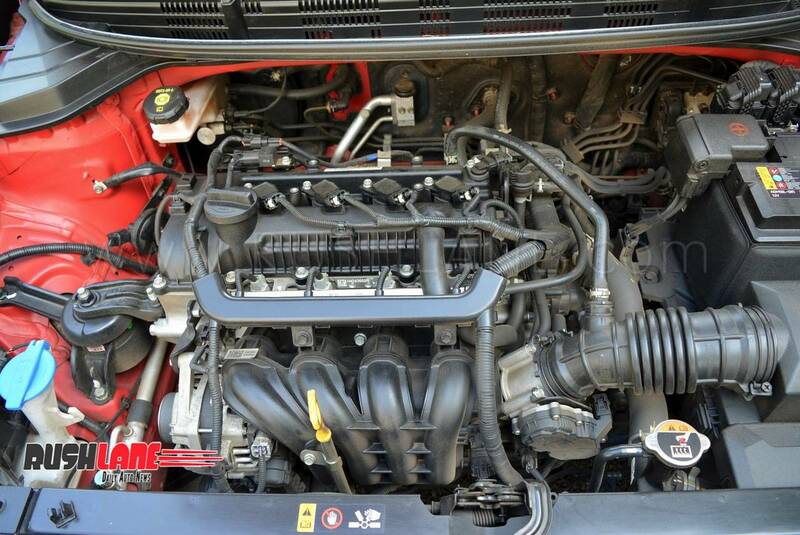 Powering the Rio is the familiar 1.2 litre petrol engine which is shared by its cousin, the Elite i20. 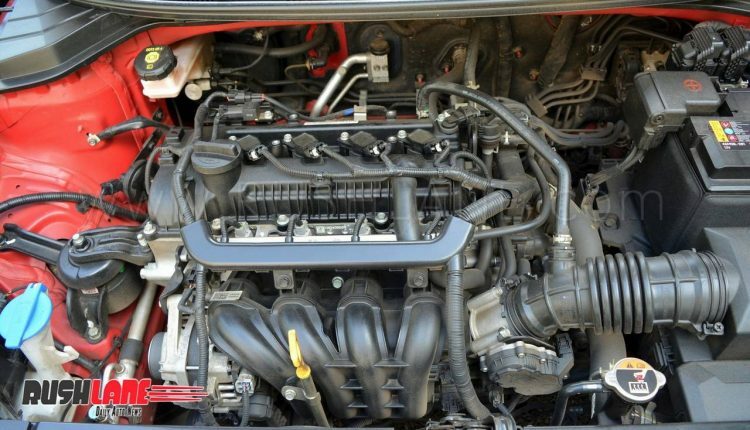 However, the way the engine responds on this car is a little different. 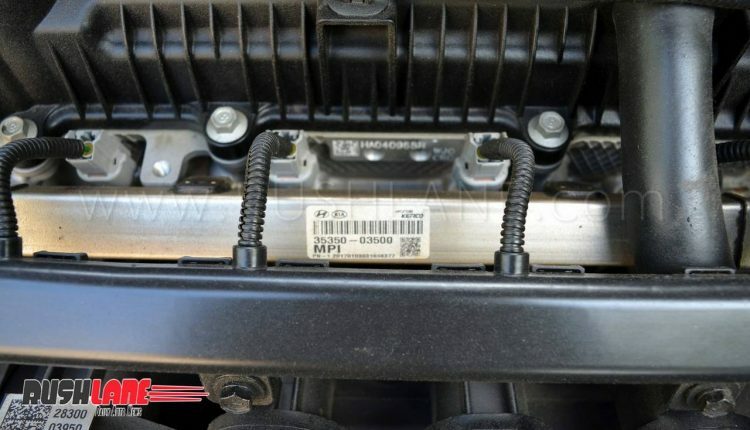 The motor seems more eager to move and gets you going right from the start. 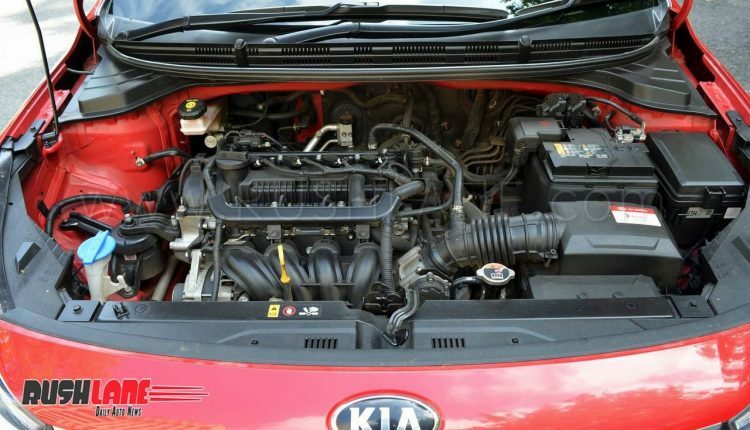 We must mention that the engine note is lovely and is certainly a music to the ears. 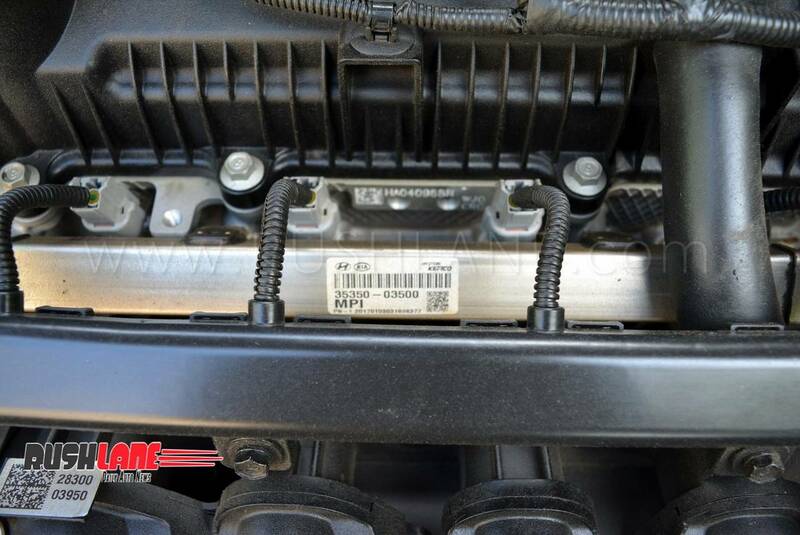 Majority of the power is available in the low-mid range as post the 5,000 RPM mark, it provides more of noise and less of thrust. 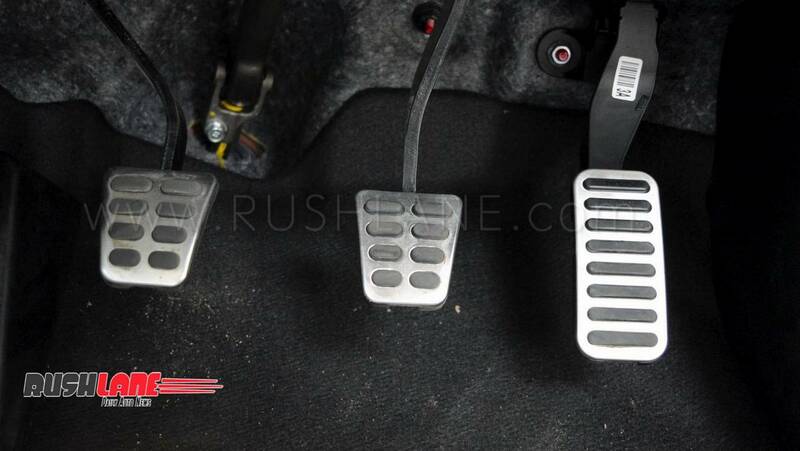 The 5-speed manual gearbox is slick shifting and the clutch is light as well. 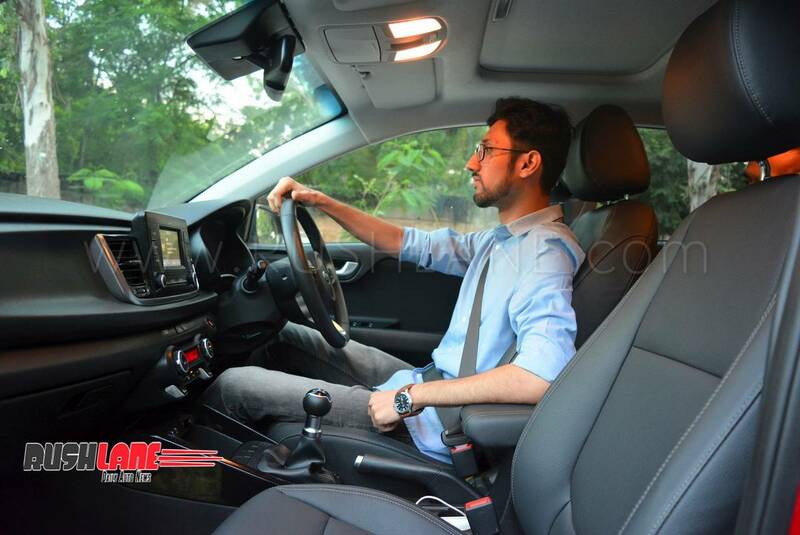 Bumper-to-bumper city traffic doesn’t tire your leg and the engine-gearbox combo performs brilliantly on the highways, happily allowing the hatch to zoom to 150 kmph on the highways. 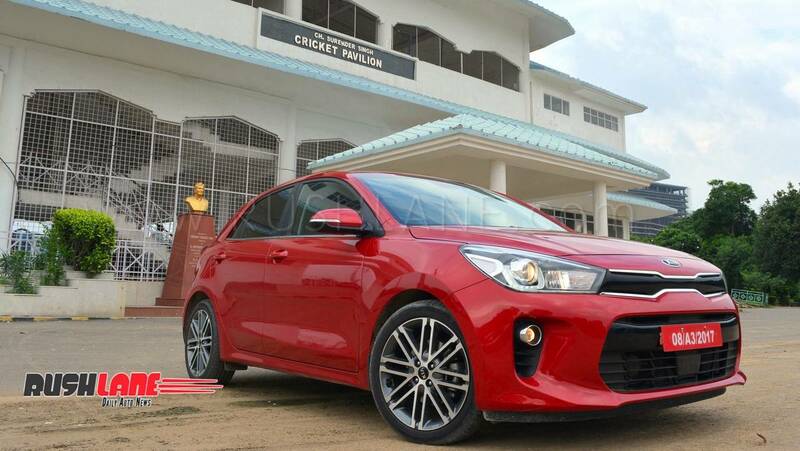 Talking about the fuel economy, the 1.2 litre petrol motor returned a 11.6 kmpl average in our drive of around 400 km which comprised of a mix of city and highway traffic. Fuel economy stooped down to 8-9 kmpl in heavy city traffic however improved significantly on highway where we managed 18.2 kmpl. 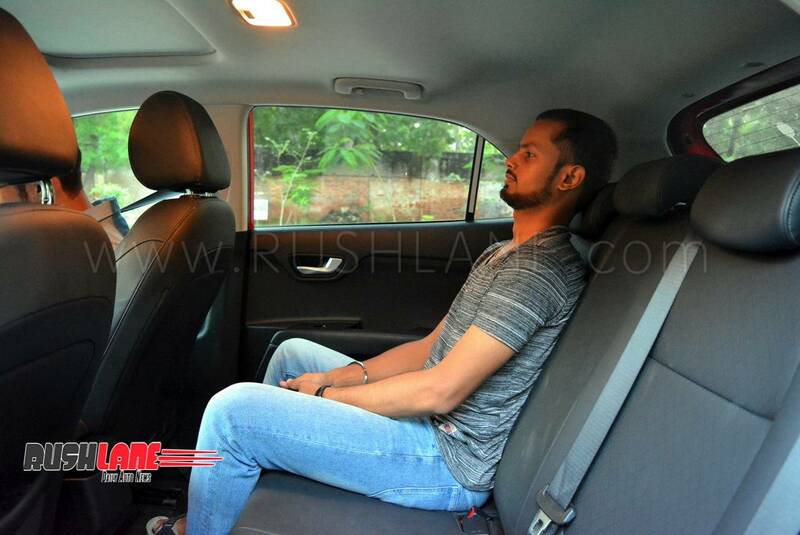 The suspension set-up on the Rio is tuned towards the stiffer side and hence when it traverses through potholes inflicted roads, occupants get to feel them more than what they are accustomed to in regular Indian cars. 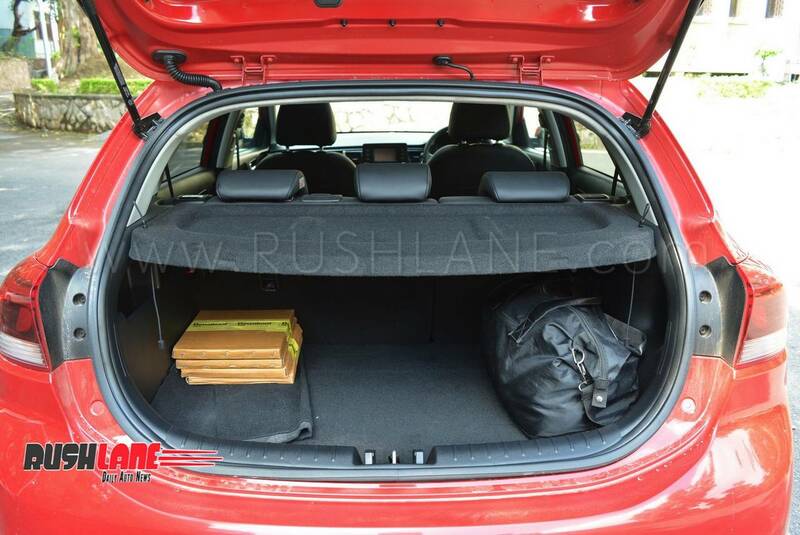 However, it is the very same setup which really impresses you on smooth roads. The car is an absolute delight to drive on highways and provides amazing control even in corners, thanks to the massive 17-inch wheels, wide tires, low ride height and the stiffer suspension. 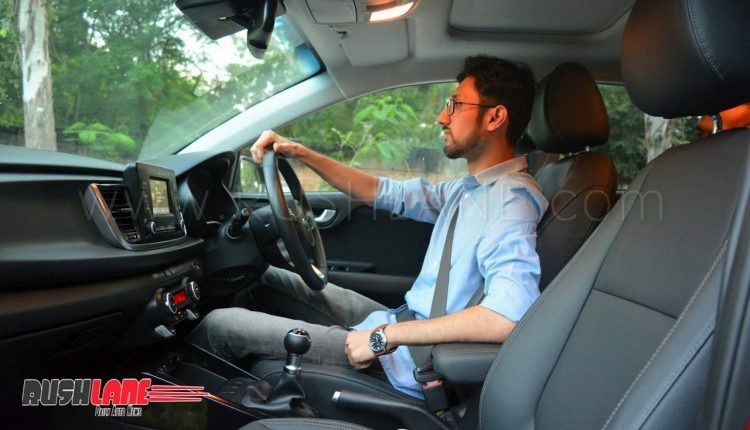 Similar to Hyundai cars, the steering is on the lighter side though it weighs up to some extent once you start hovering around 3-digit speeds. Straight line stability is phenomenal, and the car gives you enough confidence on the curves to go harder on the throttle. 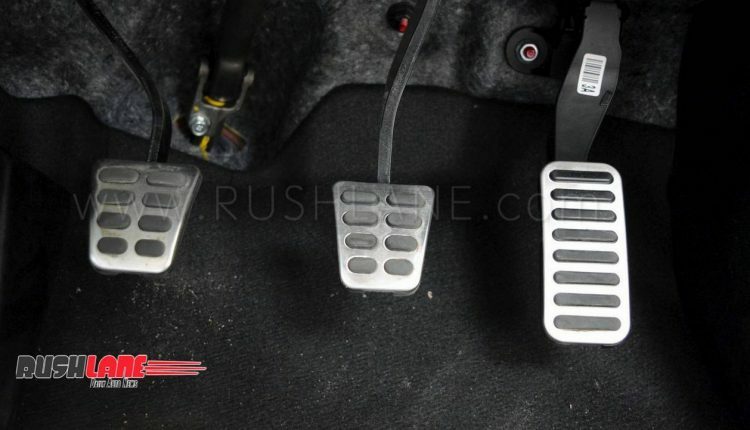 The car has disc brakes across all the wheels which work well together to provide an amazing bite, each time you press the brake pedal. Even during incessant rains, there was nothing to complain about the braking performance of the car. Throughout our time with the Rio, we were stopped multiple times by passers-by, just to ask, “Boss, when is this car getting launched in India? 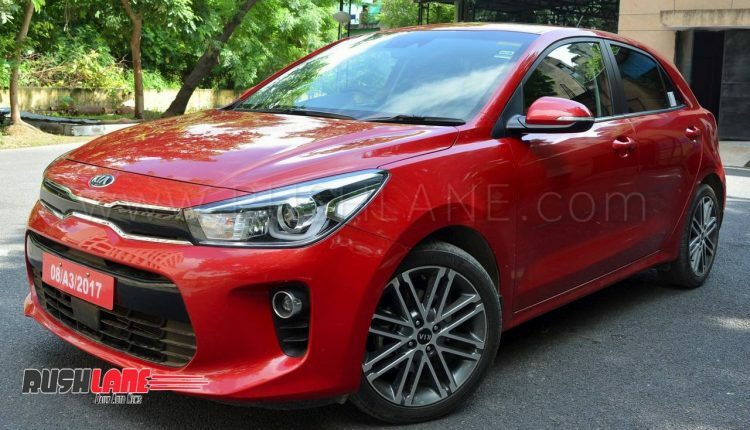 How did you get it, I want to buy this, Now!” We wished we had a definitive answer for them however at the moment Kia hasn’t confirmed if they will be bringing in the Rio to India. 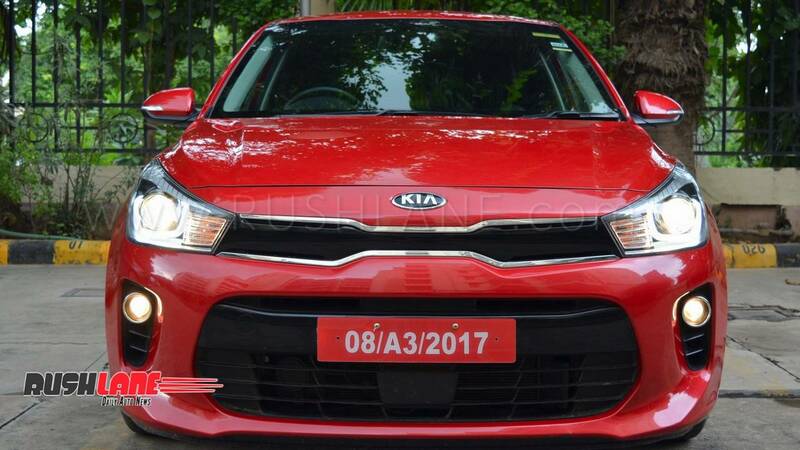 Though, the way onlookers continued to ogle at the Rio, swiftly searching for their mobile phones to record a glimpse of it, Kia should be prepared to get a good response as and when they launch this premium hatchback. As mentioned earlier, the car we drove was an international variant and it isn’t fair to compare it with its Indian counterparts directly. 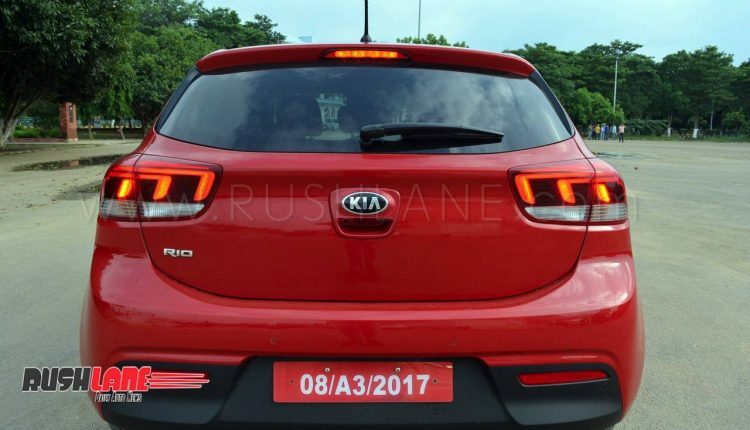 Whenever Kia plans to launch the Rio in India, it will have to make certain modifications to the vehicle. 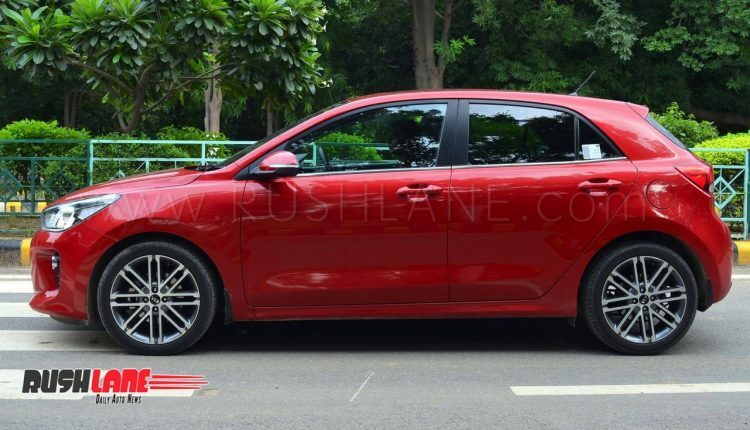 To begin with, the wheel size may reduce, tire profile will mostly change, engine might get tuned for higher fuel efficiency, suspension setup will be adapted to suit the Indian road conditions and even the feature list will mostly get a rejig. However, talking about the car in isolation, we must say it managed to impress us. 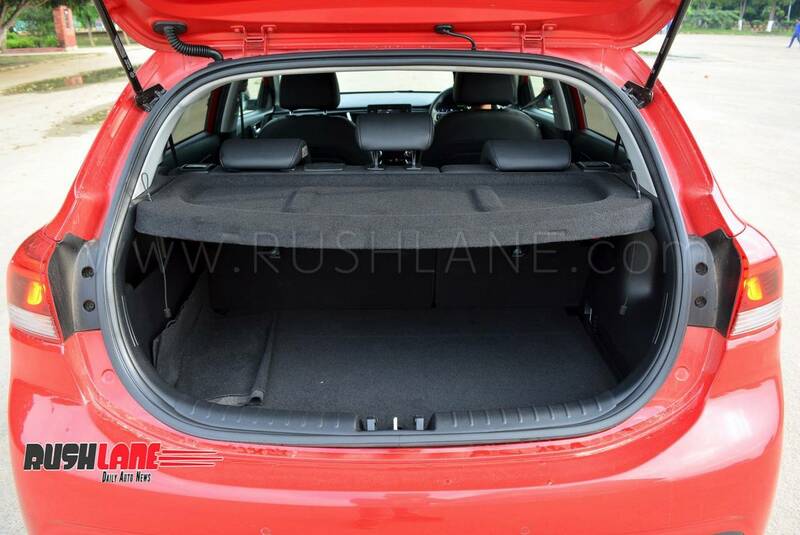 The Rio has everything going in its favour, right from its European styling to its build quality. 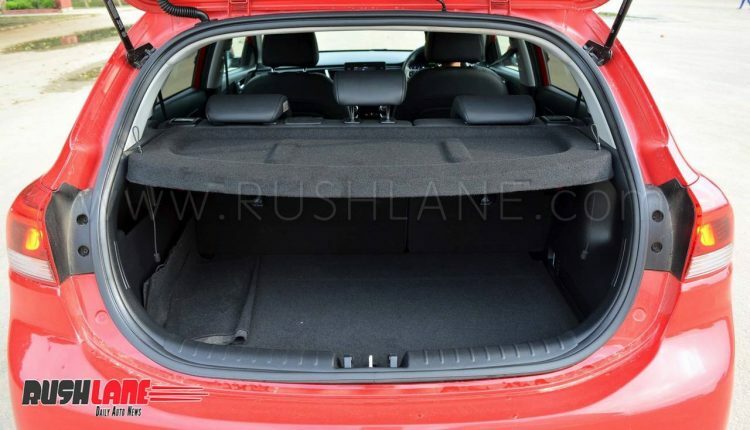 It comes loaded with gadgetry, including class-leading features like a sun-roof and we believe that it checks all the right boxes for the perfect hot-hatch which can give the Baleno a run for its money, provided the pricing is done right! 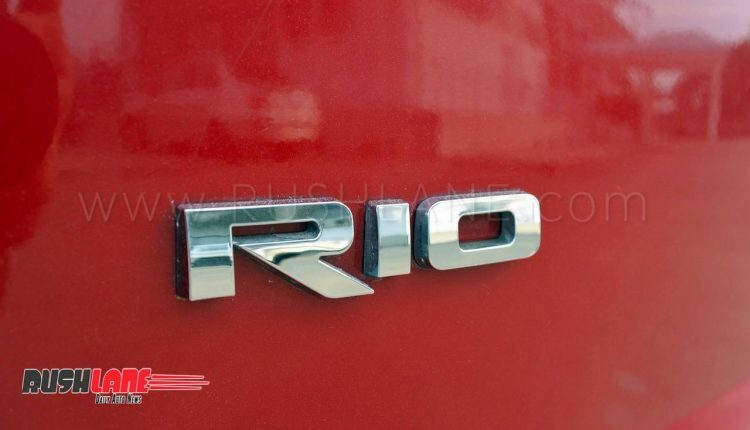 What do you think about the Rio? Let us know in the comments section below!